↑ 2.00 2.01 2.02 2.03 2.04 2.05 2.06 2.07 2.08 2.09 2.10 2.11 2.12 2.13 2.14 2.15 2.16 2.17 2.18 2.19 2.20 2.21 2.22 2.23 2.24 2.25 2.26 "Jewish population of the world（世界猶太人口）" (用英文寫). 猶太資料館（Jewish Virtual Library）. 喺2015年4月12號搵到. ↑ "A MAGYAR ZSIDÓSÁG TÖRTÉNETE（匈牙利嘅猶太人）" (用匈牙利文寫). Zsido.hu. 喺2015年4月13號搵到. ↑ "瑞典2000年1月（SWEDEN 2000-1）" (用希伯來文寫). 特拉維夫大學（Tel Aviv University）. （原先內容喺2011年11月5號歸檔）. 喺2015年4月12號搵到. ↑ "Jews in Islamic countries: Iran（猶太人喺回敎國家：伊朗）" (用英文寫). 猶太資料館（Jewish Virtual Library）. 喺2015年4月12號搵到. ↑ "Kazakhstan（哈薩克）" (用英文寫). 猶太資料館（Jewish Virtual Library）. 喺2015年4月12號搵到. ↑ 8.0 8.1 8.2 8.3 Aaron Wood (2011年2月24號). "猶太人的由來 Jews, origin, etymology". 猶太日報（Jewish Journal）. 喺2015年4月13號搵到. ↑ 關哲行 (2003年). 世界史リブレット59 スペインのユダヤ人（書名譯：世界史第59輯 西班牙嘅猶太人）. 山川出版社. 第 第1頁頁. ↑ 亨利·波瑪（Henry Palmer） (1875年). 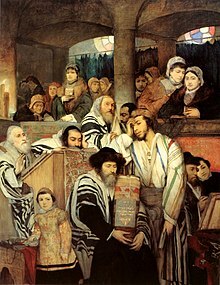 A History of the Jewish Nation（猶太民族史）. D. Lothrop & Co. ISBN 978-1-931956-69-7. ↑ 關哲行 (2003年). 《世界史第59 西班牙猶太人》（世界史リブレット59 スペインのユダヤ人） (用日文寫). 山川出版社. 第 2頁. ↑ 佐藤唯行 (1995年). 《英國猶太人》（英国ユダヤ人） (用日文寫). 講談社. 第 16頁. ↑ "Jewish population of the world（世界猶太人人口）". Jewish Virtual Library（猶太可視圖書館） (用英文寫). 喺2017年6月26號搵到. ↑ "Holocaust｜Basic questions about the Holocaust（猶太屠殺｜有關猶太屠殺嘅基礎問題）". Holocaust, a call of conscience（猶太屠殺，良知嘅呼喚） (用英文寫). 喺2017年6月27號搵到. 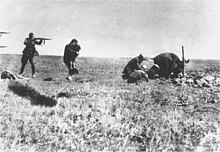 ↑ "The Holocaust（猶太人大屠殺）". History.com (用英文寫). 喺2017年6月27號搵到. ↑ "World Jewish population, 2014（2014年世界猶太人口）". 北美猶太人數據庫 (用英文寫). 喺2017年6月27號搵到. ↑ "Jews make up less than 0.2% of mankind（猶太佔人類唔到0.2%）". ynetnews.com (用英文寫). 2015年10月12號. 喺2017年6月27號搵到.